My first Young Adult novel, which won the Guardian and Hot Key Books Young Writer’s Prize (2012) at the London Book Fair,has been released on September 5th 2013! Exciting stuff, no? Here’s a few places, outside of your local bookshop, you can pick up a copy! will this be in hardcover? I’m told it’ll hit shelves as a paperback and an ebook! Saw it come out on Amazon for pre-order as a paperback. Any chance we’ll be able to pre-order the Kindle edition sometime soon as well? Afraid I might forget to check back by September 5th. Hmm… I should know that, shouldn’t I? I’ll do some sleuthing and get back to you on this one – I’ll post a blog when I have the answers! Will there be a sequel – I loved it…! There sure will! Almost polished off that draft… Look out for news here on the blog soon. Anyway, nice to meet you online and hopefully we could grab a drink for a chat some time if you’re coming over to the festival next year? Yeah, you too, mate. There’s a rumour I may be heading London-way for the festival, but nothing confirmed as of yet. Definitely keen for a beer! I was at your all saints college presentation on Thursday, 9:15-10:00, and asked about your inspiration for drake. But there was 1 thing I forgot to ask and don’t remember you answering. 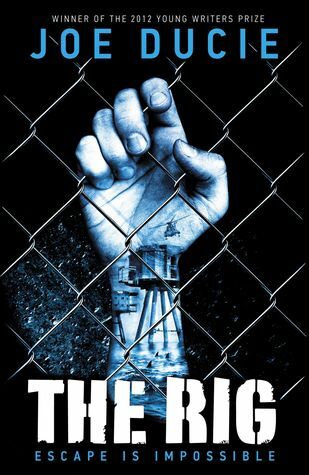 If they make a movie of “The Rig”, who would you like to act in it. It could be anybody, from a gold fish to a zombie version of Michael Jackson. It could even be your brother. Please get back to me soon. Thanks! Just wanted to say ive just finished reading The Rig and it was amazingly awesome!!! i read it in just over 3 days!! I’ve been looking for this book. Is it not on kindle? Hey Mr Ducie, i really loved The Rig it was easily the best book that I’ve ever read, i was just wondering if you’ll ever make a sequel? There’s so much more that can happen with Drake, Tristan and Irene! The sequel is written and should be available soon. Keep an eye on the web site here for future updates. i loved the book it is my favourite at the moment i im not quite sure but is the sequel going to be called Crystal force?